The vast array of business and trade opportunities associated with the Bakken boom has many entrepreneurs all a-twitter, including executive director Tom Rolfstad of Williston Economic Development. Recently, the Williston executive director has played an integral role in spreading the good news. This past June, the Montana World Trade Center (WTCA Montana) and the Williston Economic Group partnered to launch a one-day seminar entitled “Tapping Opportunity in the Bakken,” a how-to information session designed to help companies launch successful business efforts in the Bakken region (an area covering Montana, North Dakota, southeast Saskatchewan and southwest Manitoba). The informational seminar, which includes Rolfstad’s live-streamed presentation, “Live from the Field,” offers much on-the-ground insight to prospective Bakkeneers. The facts alone are enough to make any business owner head to the scene, as Rolfstad insists. Case in point, the Bakken and the associated Three Forks formation covers 14,700 square miles, making it the largest continuous crude oil accumulation in the U.S.; the region currently produces over 715,000 barrels of oil per day (more than Ecuador); daily Bakken oil production has doubled over the last two years from 350,000 barrels to over 715,000 barrels; and, the total oil contained in the Bakken is estimated by some at 24 billion barrels. In concurrence is seminar host and WTCA Montana executive director Arnold Sherman, who declares that the vast area is in need of much attention. Over the next 10 years, there will be a need for 110,000-plus workers—and that’s not including workers required for the Three Forks development situated directly under the Bakken formation. As Sherman continues, employment opportunities are many—in fact, there are 10 job openings for every one worker in the region. Accordingly, the Williston and Bakken regions have the lowest unemployment rates in the U.S., at 3.3 percent (not to mention the starting wage on the oilfield is $30 per hour). Furthermore, over the lifetime of each well, combined salaries will total $2 million. North Dakota’s economy continues to grow and diversify, supporting new jobs and business opportunities throughout the state, says Jack Dalrymple, Governor of North Dakota. 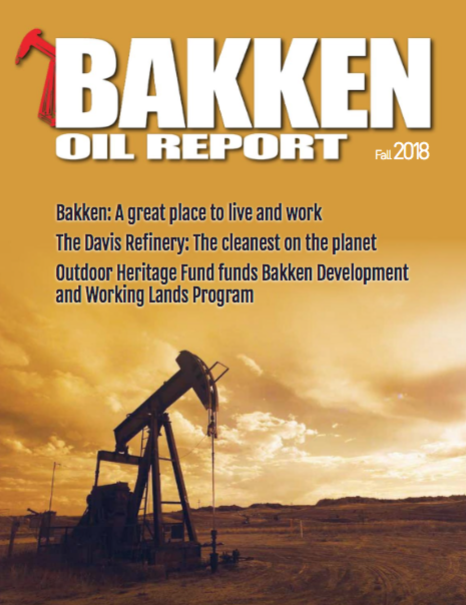 The reporters for the Bakken Oil Report attended the Tapping Opportunity in the Bakken information session held in Winnipeg, Manitoba this June. Among the WTCA’s global network is WTC Winnipeg, which hosted the seminar this past June in their home city. WTC Winnipeg project manager Derek Earl worked with WTC Montana in order to bring the seminar to the 344 hopeful attendees. To date, the seminar has been held in many American cities, including Salt Lake City, Missoula, and Butte, to name a few. Of course, America’s neighbors to the south and north have also taken interest; the seminar has already been presented in Rapid City, South Dakota and Winnipeg, Manitoba. Future prospective seminars include many more Canadian and American cities, as well as London, England, in the fall. Geographically, Winnipeg is 18 miles further away from Williston than Billings—a fact easily overlooked because of the U.S.-Canadian border. As Earl explains, Winnipeg has the potential to be a major player in the boom and WTC Winnipeg has, as a result, entered into a partnership with WTC Montana for follow-up sessions. Former Montana governor Brian Schweitzer also presented to the more than 300 people who attended the symposium in Winnipeg. “Over the next 10 years, the Bakken area is going to need 110,000 more workers,” Schweitzer stated. As Sherman suggests, “There’s room for everyone in the Bakken.” It is the hope of WTC Montana and the Williston Economic Group that the seminar will bring some much-needed clarity to the Bakken boom for many hopeful entrepreneurs. And so far, it has.